A White Wine from the Marlborough region, New Zealand, this wine is a zingy white and excellent value. Brancott Estate wines are considered the benchmark of New Zealand and have an international reputation for quality and consistency. 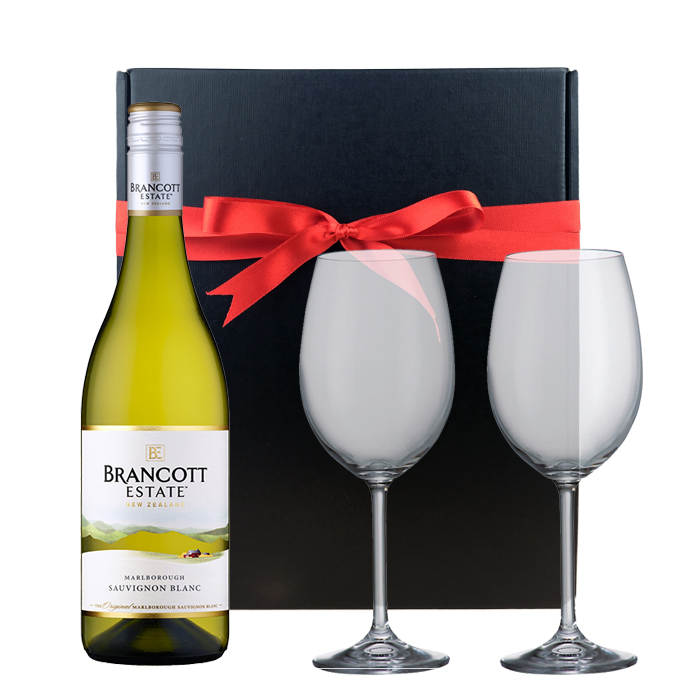 This gift also INCLUDES 2 Boxed BOHEMIA Royal (Lead Free) Crystal White Wine Glasses (450ml) all presented in a black gift box, all ready for opening, enjoying and relaxing wherever you may be.